Economically, the world is a multipolar place (and has been for several decades). Militarily, the United States retains conventional superiority in virtually every area. However, rivals, such as China and Russia, have made significant gains that threaten America’s military dominance in critical areas (namely, in unconventional technological threats. But, also in unorthodox ways, such as in the non-military realm of economics and trade, for instance–which is important because both China and Russia understand that, after the Iraq War debacle, it will be many years still before the American people support any kind of major military campaign again). As for politically, the United States (because it has the world’s largest economy in GDP terms and it retains the most advanced, dominant conventional military) continues to have an outsized influence on global affairs (plus ours is the only real global military force). Yet, there is one aspect which undergirds America’s dominance: King Dollar. Formulated in the 1970s by President Richard Nixon after he and Dr. Henry Kissinger strong-armed the Kingdom of Saudi Arabia to set all global oil trade to the U.S. dollar, America’s currency has held a hegemonic position. This hegemonic currency has allowed the United States Congress, for instance, to engage in reckless levels of deficit spending without any real concern of fiscal insolvency. Unfortunately, though, the Chinese are intent on undermining the hegemonic position of the dollar. 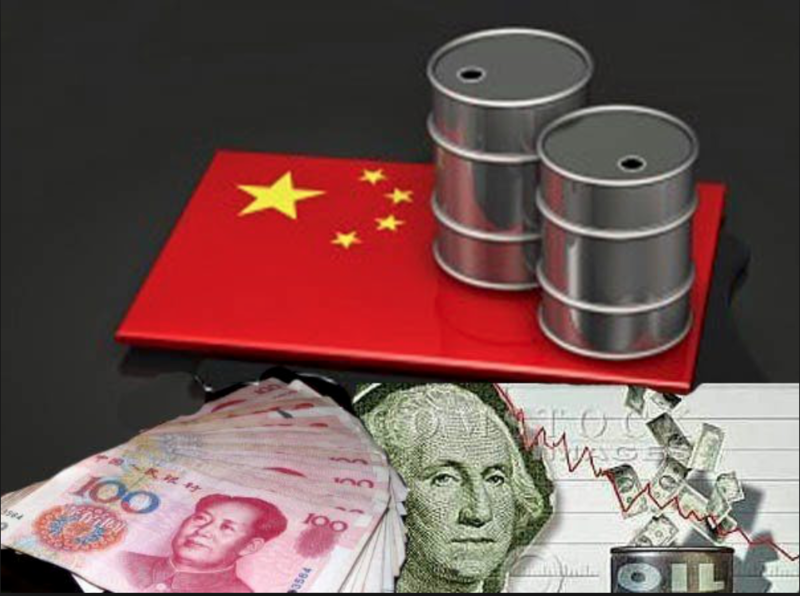 Recently, Saudi Arabia allowed for some oil to be traded according to the Chinese currency, the yuan. It went very well for China and there will be many more trades done in this fashion. While not yet a serious threat to the dollar’s hegemony, China will continue expanding its position in piecemeal fashion, just as they have done in every way imaginable during their decades-long rise from agrarian backwater to a dominant world power. Make no mistake: the yuan, because it is a currency that is disallowed to “float” on the global market, as the dollar is floated, will only attract greater levels of interest from companies seeking to trade oil in the petroyuan as opposed to the traditional petrodollar. This will become increasingly clear, if the American government continues blowing its deficits wide open–thereby adding on to the already-unsustainable national debt–in a vainglorious pursuit of purchasing prosperity (and political power) with taxpayer dollars. Also, the dollar will continue to be made unattractive with the horrific monetary policies that the U.S. Federal Reserve has consistently engaged in for decades. Face it, we’re committing suicide as the world’s superpower.